With a mission to deliver the highest quality plumbing and gas services in North Central Florida at prices you can afford, our customers always remain our No.1 priority. Our technicians arrive on-time, explain costs up front, and we warranty all parts and labor for every residential and commercial service. Contact us to speak with a gas plumber about converting your existing electric appliance or electric water heater to gas. We can add gas outlets wherever you may need them to accommodate a new range, dryer, or outdoor grill. 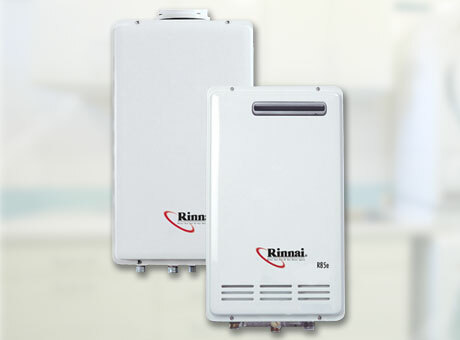 Our plumbing repair company can significantly lower your energy consumption by switching to a Rinnai Brand Tankless water heater. These amazing state of the art water heaters heat water on the fly using Natural Gas or Propane. They can cut your water heating bill by 50 percent as well as freeing up space once occupied by your tank type water heater. Tankless water heaters are a must on all new construction projects and most builders are using them now as a standard. Call us to schedule a visit and see how much you can save. Sunshine Plumbing and Gas is a Rinnai certified installer. How Can I Save Money By Converting To Gas? Do you own a business, factory, or apartment complex and want to significantly decrease your water heating costs? Water heating can account for up to 30 percent or more of your energy consumption. Ask about designing and installing a custom water heating system implementing solar, tankless, or both to your property. The energy saving is significant and the payback period is typically less than 4 years.